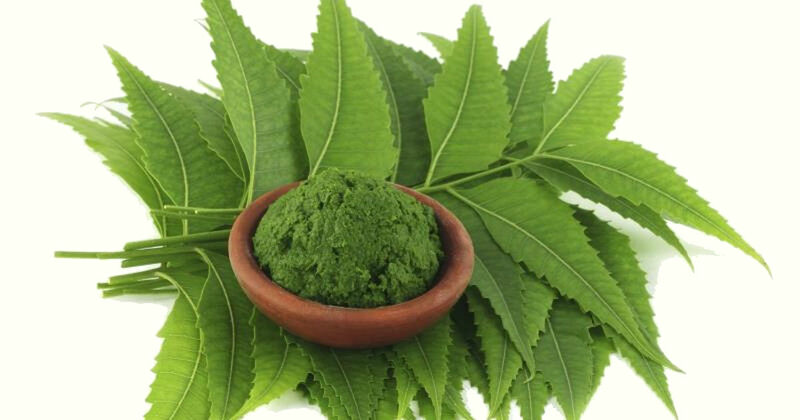 This 100% natural, gentle, absorbent powder (Talc free) - harnessing the traditional use of neem leaf to calm & soothe minor skin rashes & irritation. Ideal for pets that don't like water! Use once or twice per day, for the general comfort of your pet. My dog has started getting really sweaty and sore under her front legs and on her belly. 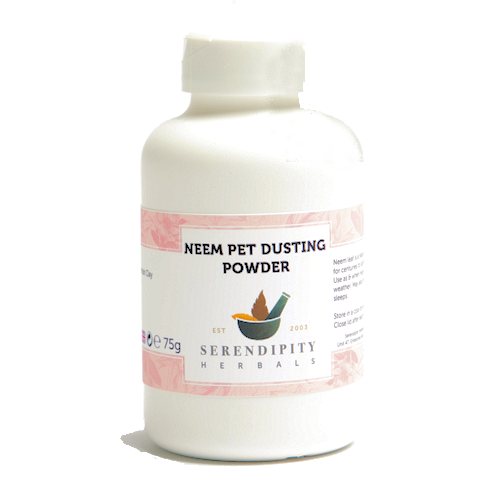 This powder is really good at drying and soothing her skin and reducing the amount of scratching and licking she is doing. Bought this for the cat who had fleas. It's light and silky and he's happy for me to massage it around his neck. It has as a faint and pleasant smell. Don't know if it's an effective deterrent, as I've been combing out the fleas but it seems to have helped with the itching. 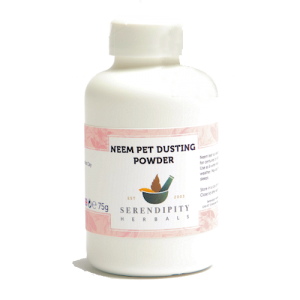 brilliant, my terrier has itchy skin, he really hates getting wet, this powder sooths his skin and does not make him wet, after a week his skin is noticably less red and much less sore and he dosnt run away when i get the pot out! My sister and I had mystery itching, this product in conjunction with the neem max strength soap bar REALLY helped, it dries the skin but soothes too. You may smell like a squirrel, but the itch goes away!